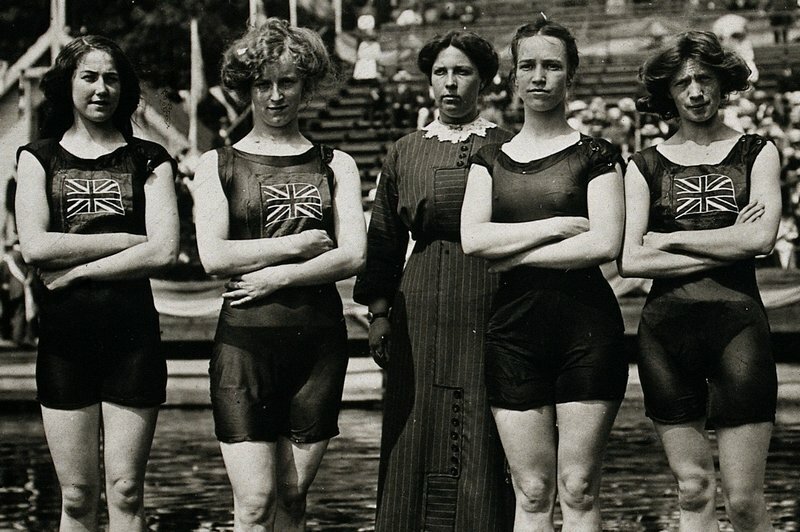 This is the 1912 British Olympic Women’s swimming team, and those swimsuits were considered scandalous in the extreme at the time. The woman in the middle is usually referred to in photo captions as a chaperone, but in some sources as a coach. Either way she appears formidable. This woman brought a cane to the Olympics in her luggage and will be entirely unsurprised if her duties demand its use! 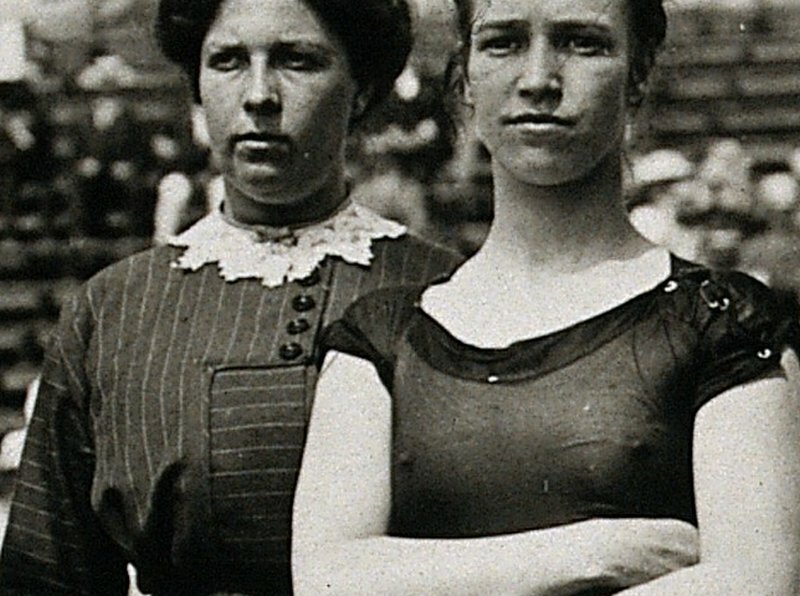 The swimmers are, left to right, Belle Moore, Jennie Fletcher, Annie Speirs, and Irene Steer. 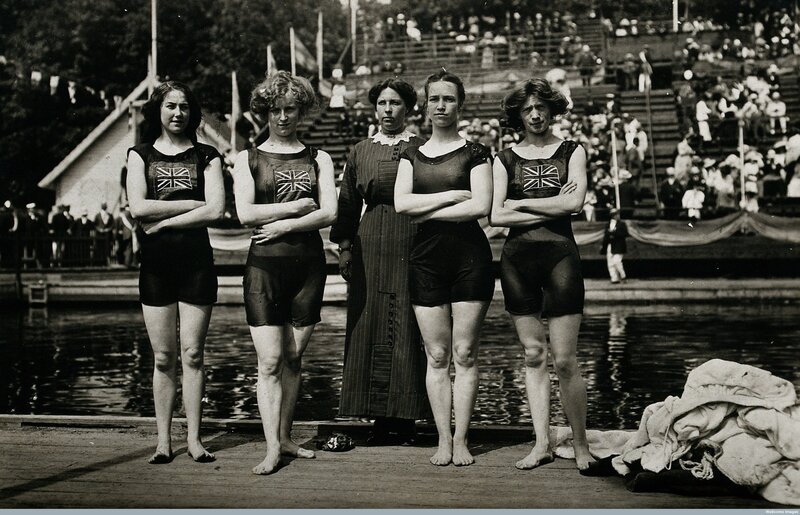 Sadly I could not find a name for our stern task-mistress in the middle of the line.